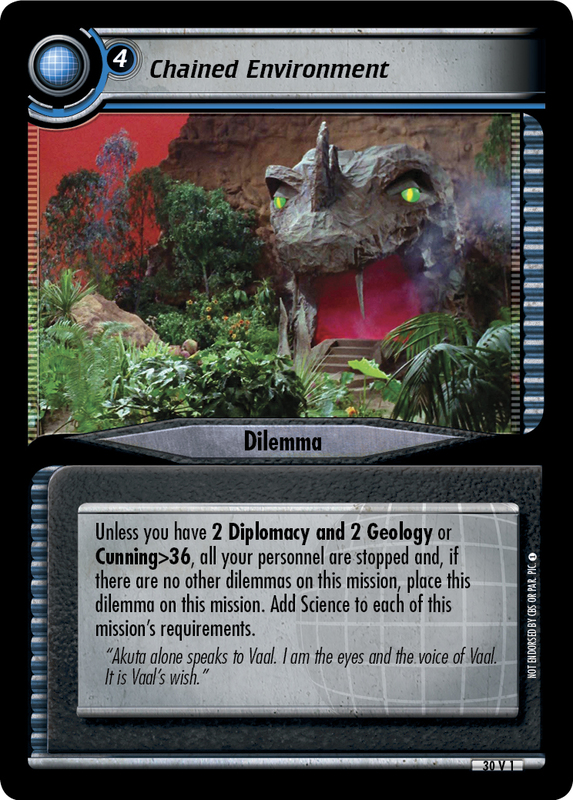 Place this dilemma on this mission. 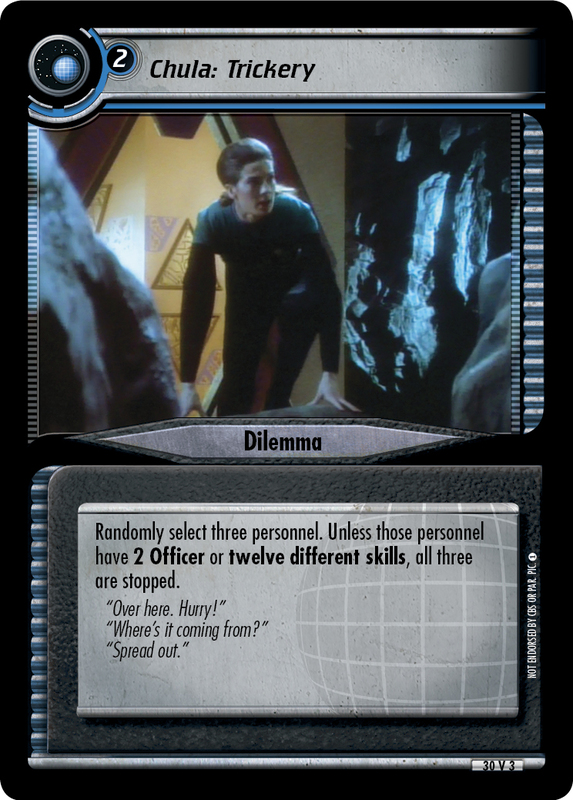 When your personnel are about to face a dilemma whose title begins with "Chula" here, randomly select one of your personnel attempting this mission to be stopped. 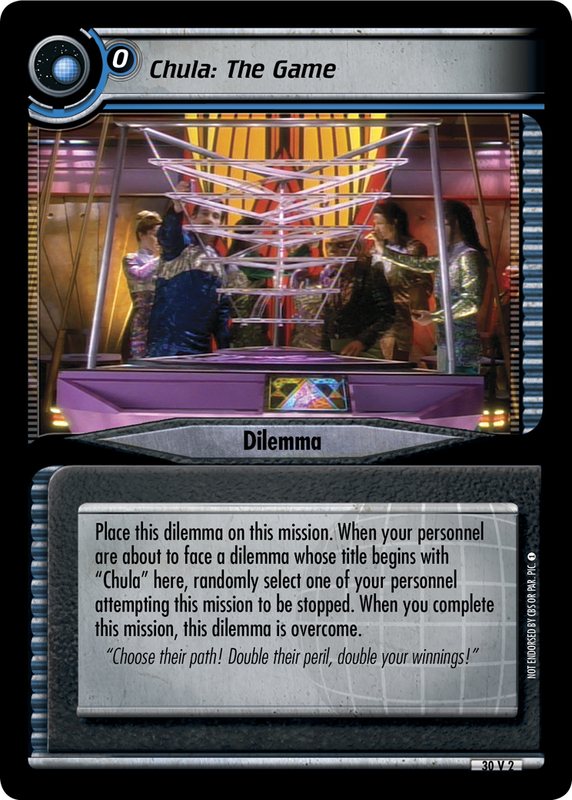 When your personnel complete this mission, this dilemma is overcome. "Choose their path! Double their peril, double your winnings!"